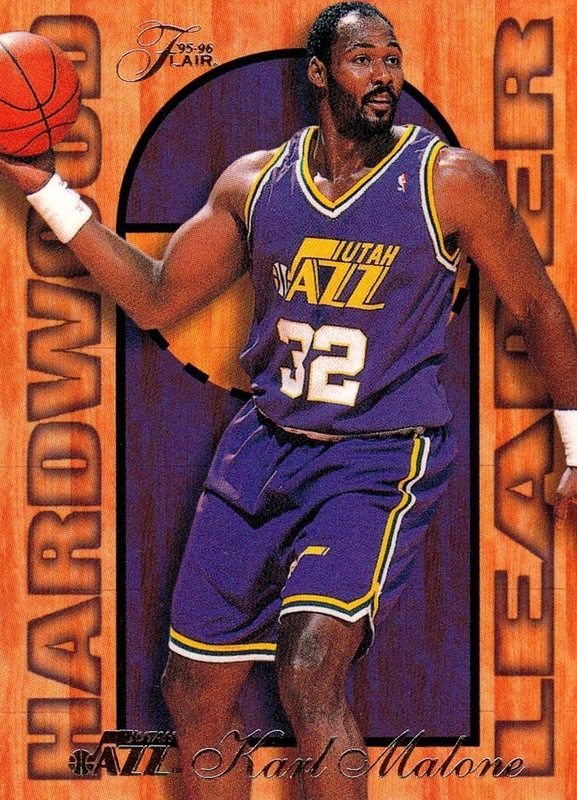 My series of Set Profiles moves to the NBA today, and what better set to start out with than the very first set that got me started with the NBA? By April 1996, I had already been a card collector for 8 years. 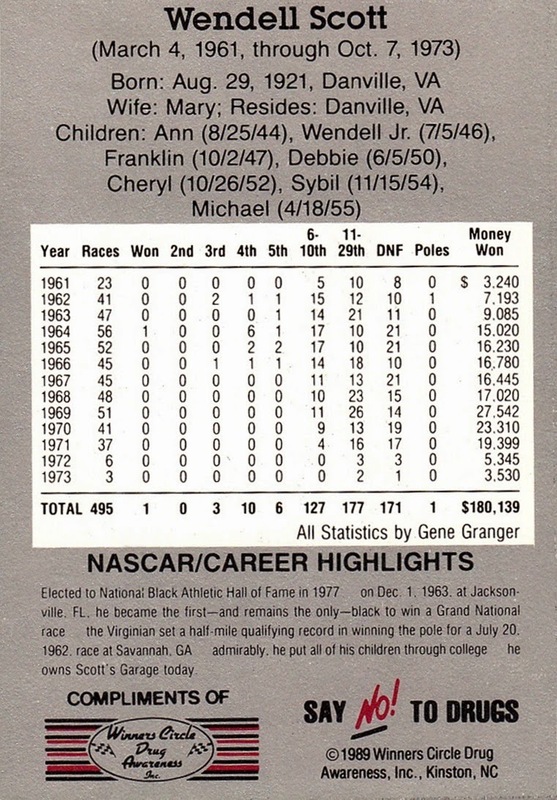 I was mostly focused on NASCAR and non-sports at that time, but none of my friends at school collected those topics. I was in the 5th grade at the time. My mom saw this and gave me a pack of cards for Valentine's Day in 1996- a pack of 1995-96 Fleer Series II. I doubt she could have known what she began. 18 years and more than 76,000 individual cards later, I'm still going strong! 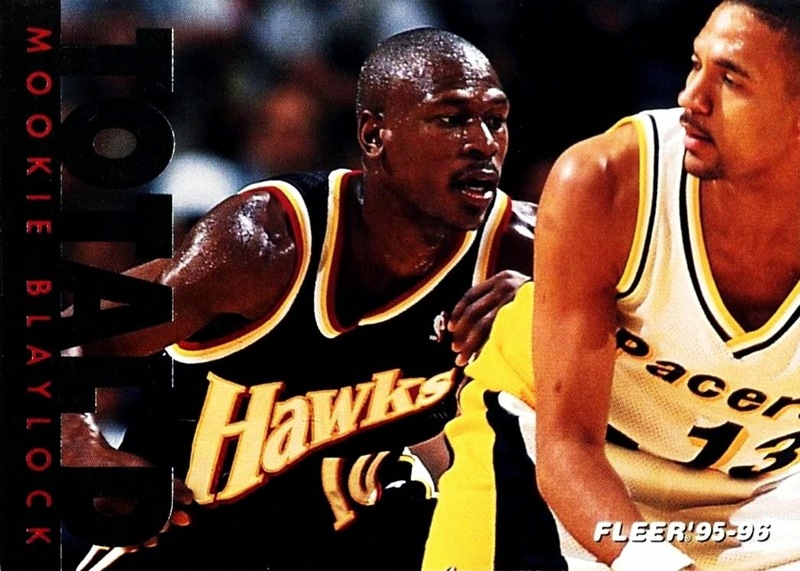 1995-96 Fleer's design is not one of their best, in fact, it's actually one of their worst- but I still love the design, mainly because of the fact that it got me going in the NBA. 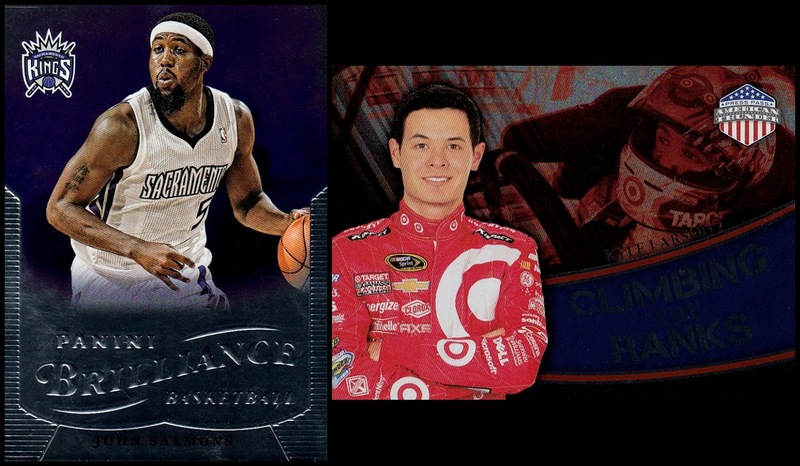 From 1996-03 I focused almost solely on NBA cards, getting only one or two packs of NASCAR cards per set, and mostly stopping with non-sports during that time. I have come to regret that, but the NBA takes up roughly 3/4ths of my entire collection, and it all started here. 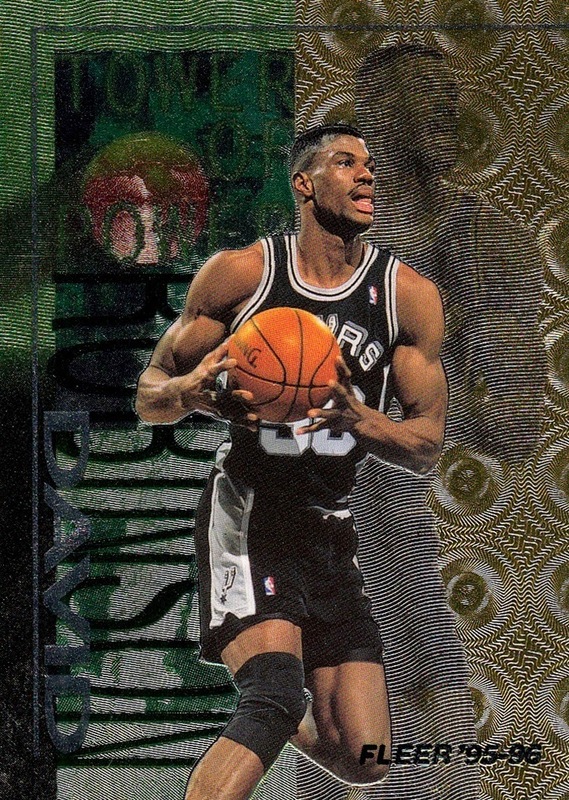 The 1995-96 Fleer design was unusual in that it wasn't one unified design. Each of the four divisions of the NBA got it's own design, and each of the designs was color-coded to each team. 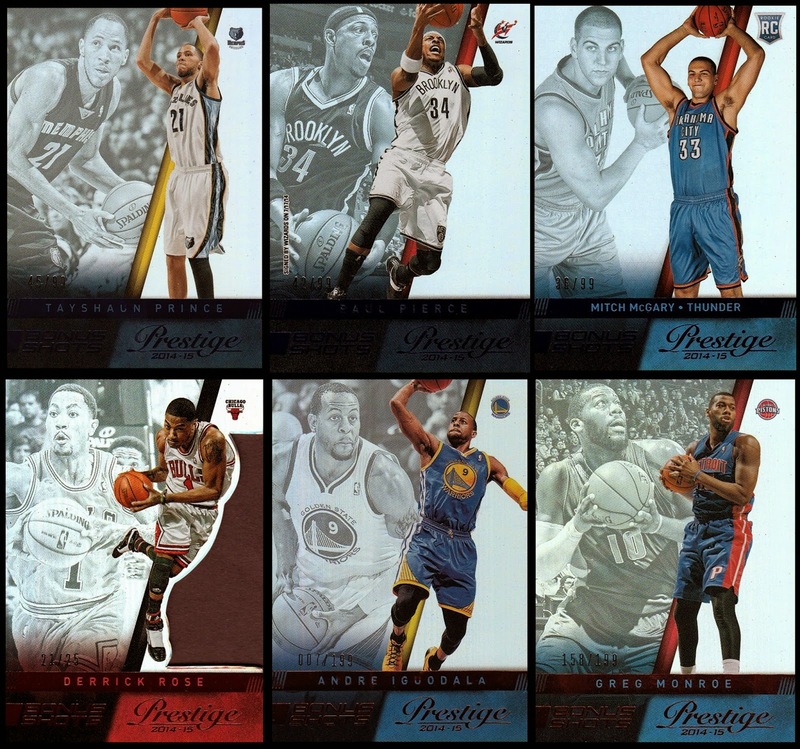 The basic player cards account for #1-197, and #201-259. 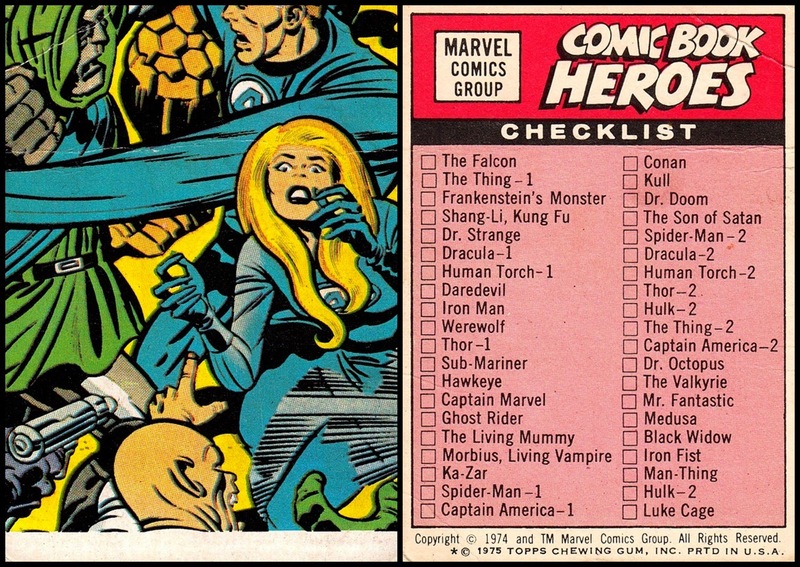 Checklists are #198-200 and #349-350. 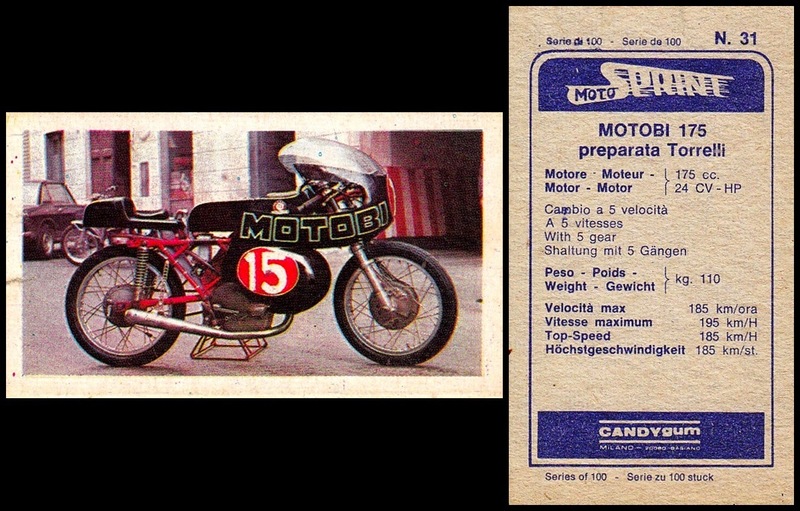 It is a 350 card set. 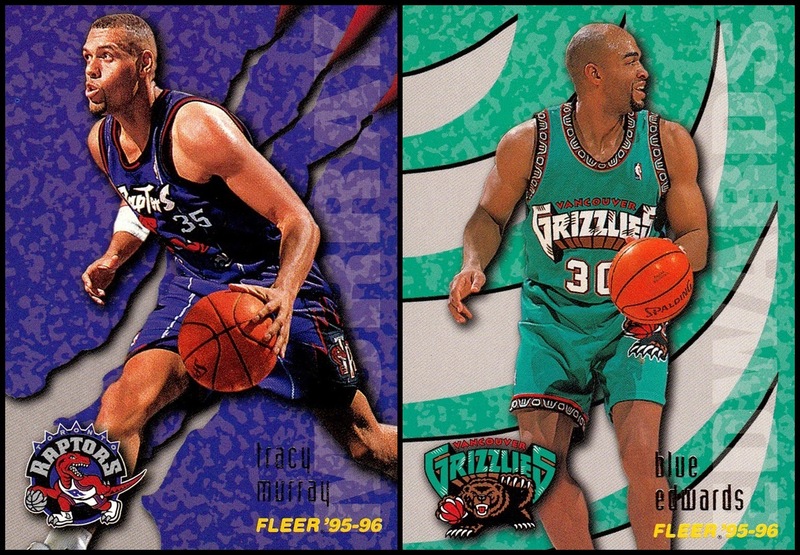 In addition to the basic player cards, the Toronto Raptors and Vancouver Grizzlies both made their NBA debut in 1995-96, and they got special designs that ran cards #269-279. 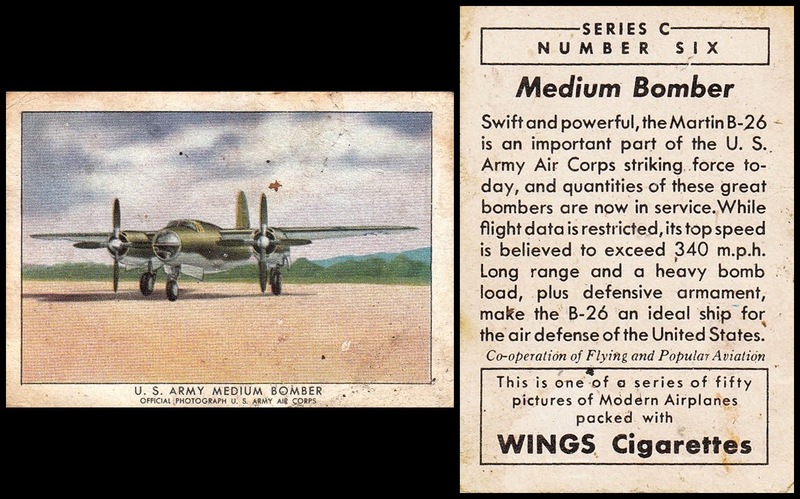 #280-319 are Rookie cards. I have never particularly cared for the Rookie design for this set. 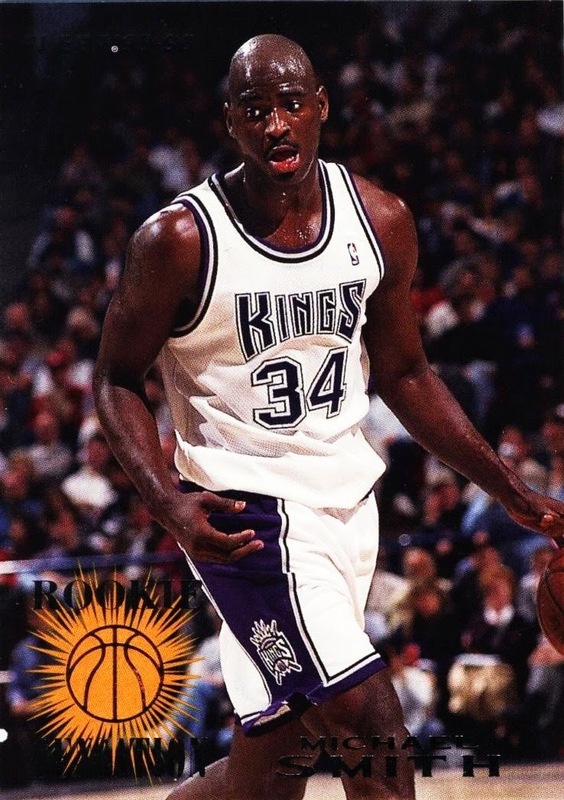 The four rookies that played for the Expansion teams (Damon Stoudemire, Jimmy King, Bryant Reeves and Lawrence Moten) all got cards in both the Expansion subset and the Rookie subset. Cards #320-348 are the Firm Foundation subset, which represent one player from each team. Several rookies are included in this subset. 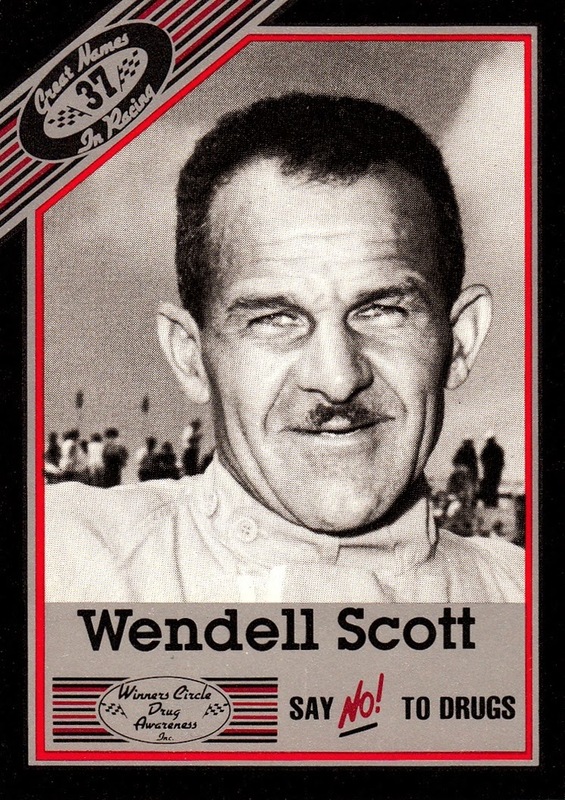 The complete 350 card gallery can be found on the Trading Card Database here: 1995-96 Fleer GalleryMost of the scans come from my collection, as I completed the set on January 9th, 2003. 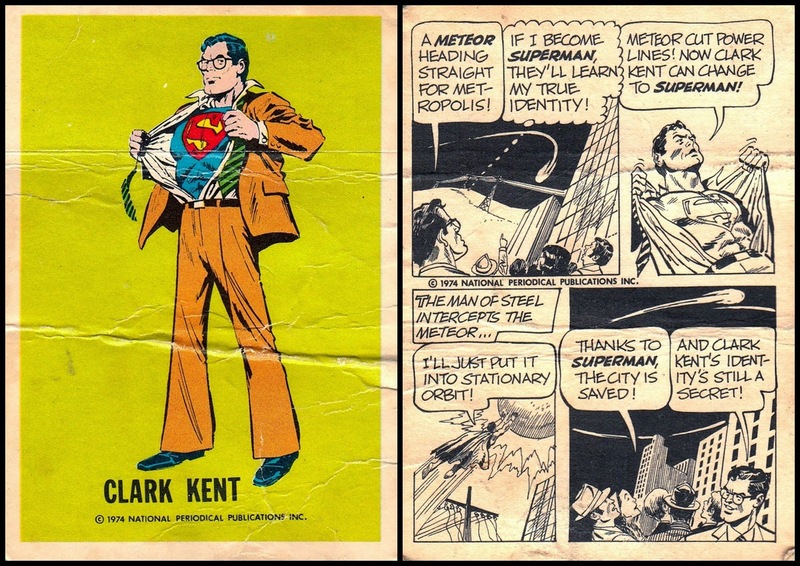 There are no parallels for the set. There are 14 insert sets for 1995-96 Fleer, including insert parallels. Class Encounters is a 40 card set that includes players who were rookies in 1994-95 (#1-20) and 1995-96 (#21-40). I have 20 of the cards in my collection. Double Doubles is a 12 card set that features players who can be counted on to put up a double/double in most games. I have 10 of the cards. 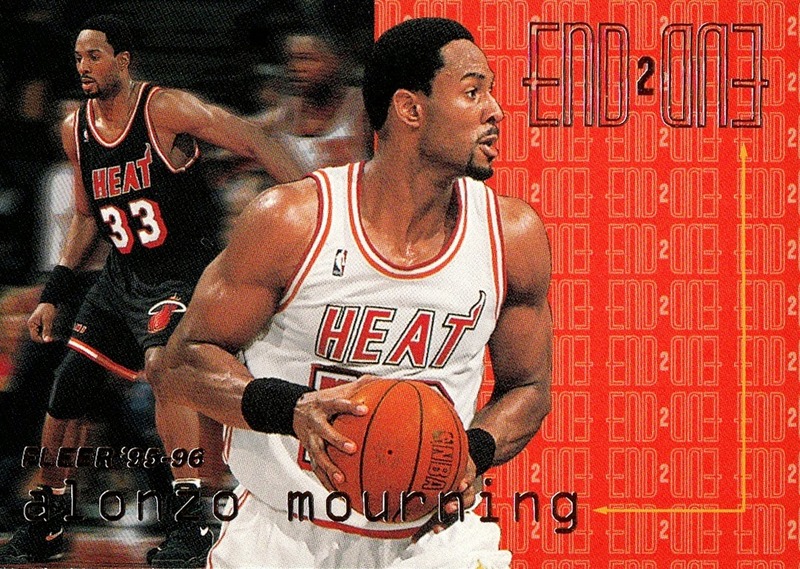 End 2 End is a horizontally based 20 card insert, which features players who excel at both offence and defense. I have 13 of the cards in my collection. 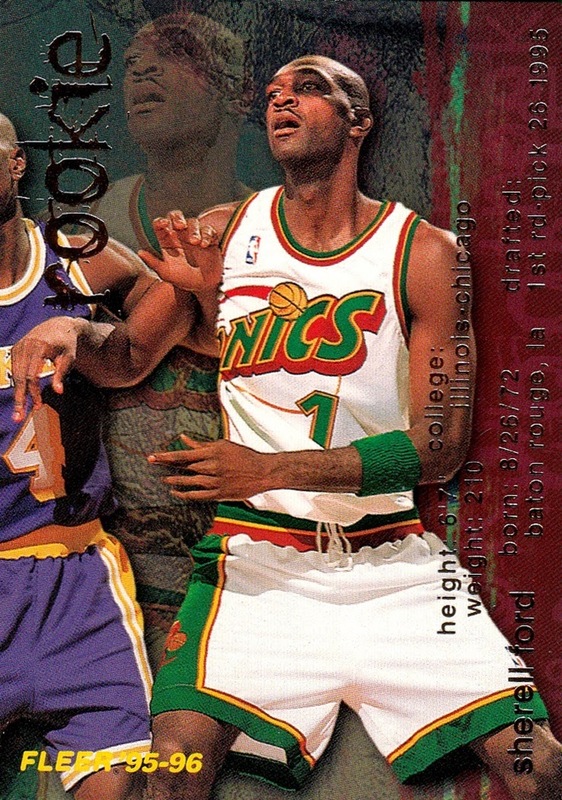 Flair Hardwood Leaders is a 27 card insert set, that was seeded one in each Series I pack. 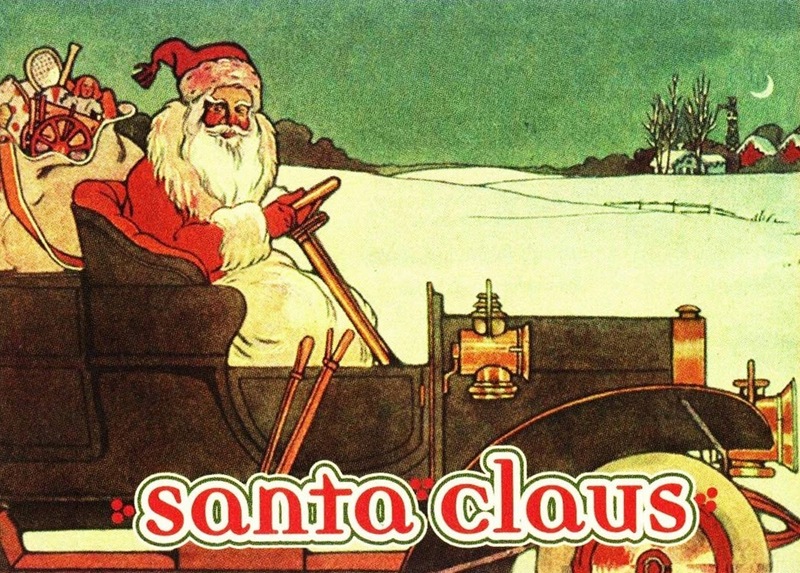 It features the thicker card stock and foil printing normally used in the Flair set. Despite being issued in the main Fleer set, the cards carry the Flair logo, not the Fleer logo. Each team that was in the League in 1994-95 has one player represented. I have 25 of the cards. 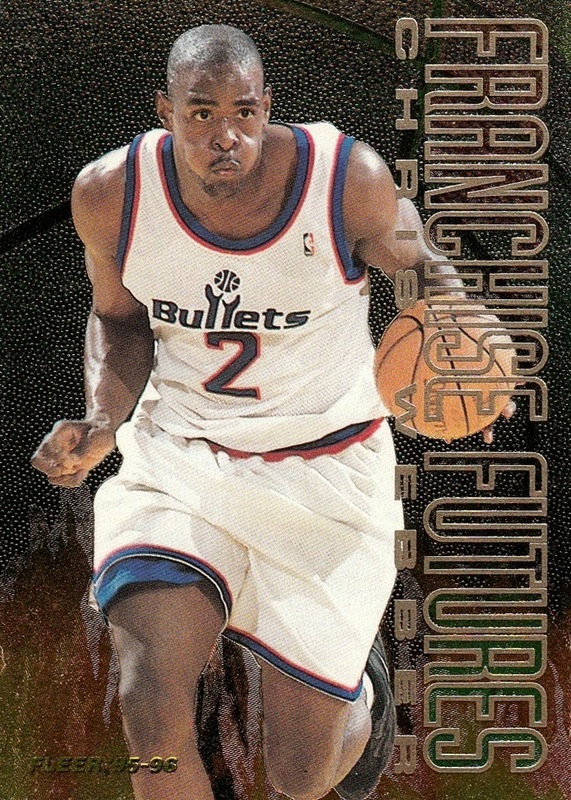 Franchise Futures is the rarest of the 1995-96 Fleer inserts. It is only 9 cards, and I have only one of them. It features players who teams could build their future around. It also features foil etching. 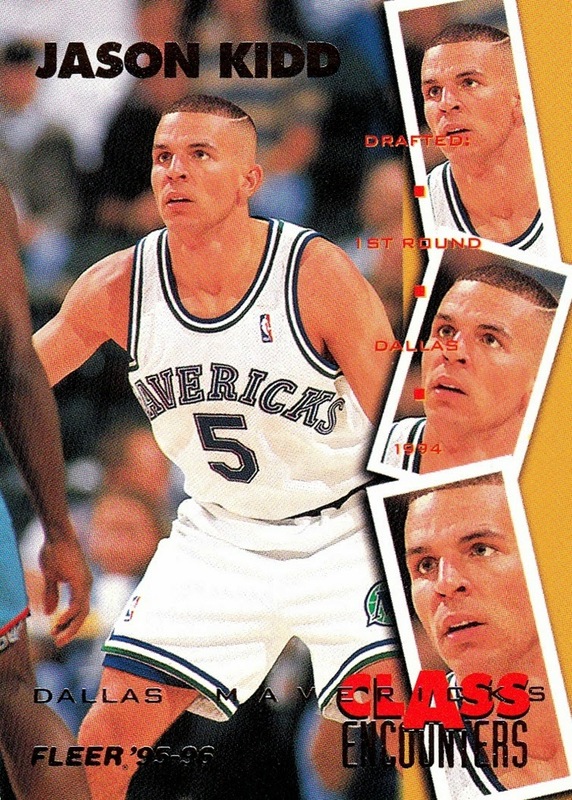 NBA All-Stars is a 13 card set honoring the players chosen to be All-Stars during the 1994-95 season. 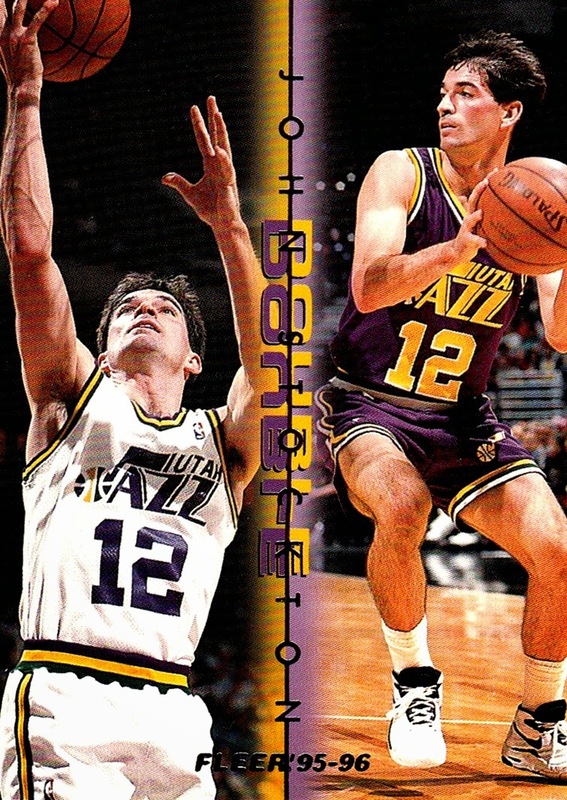 The first 12 cards are dual-sided, with the front representing an Eastern Conference player and the back Western Conference. 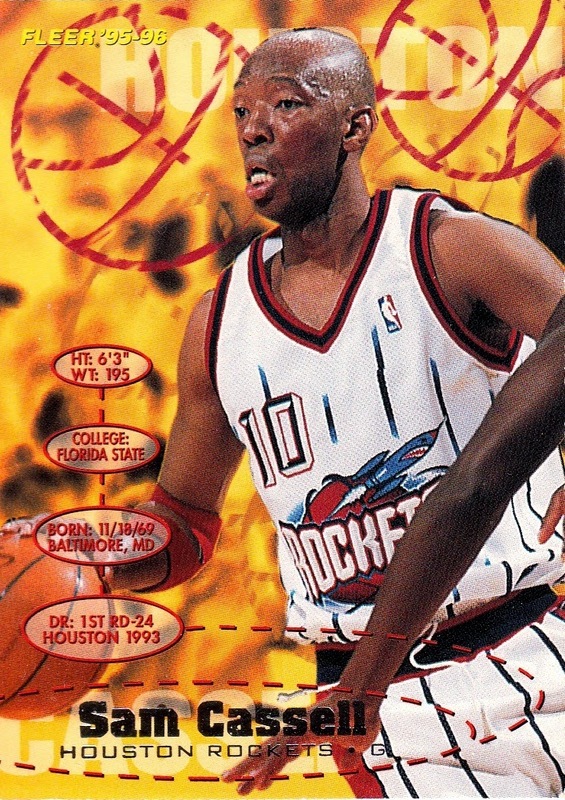 The 13th and final card in the set is for Mitch Richmond, who was voted MVP of the 1995 All-Star game. 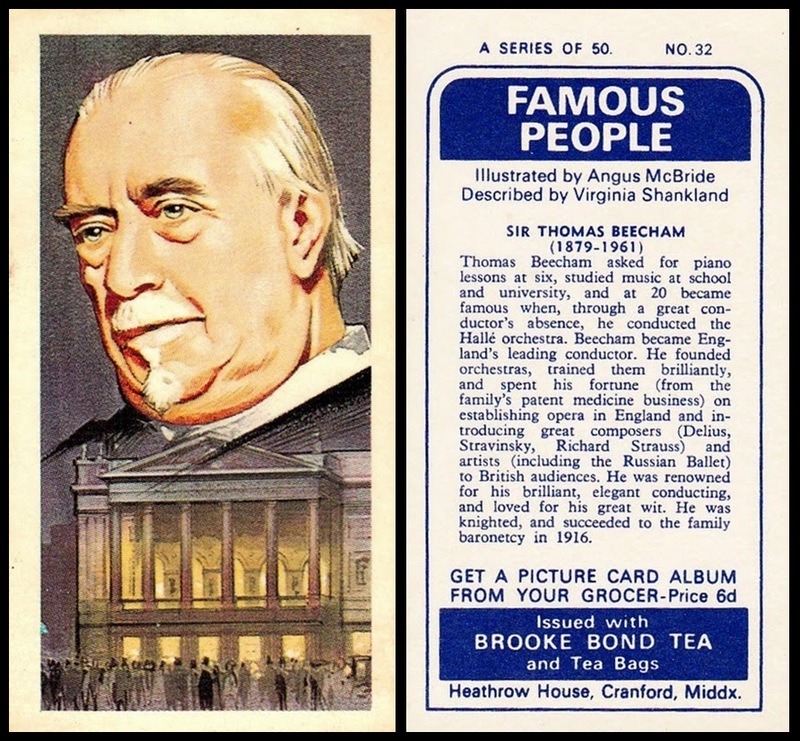 I have 10 of the cards. 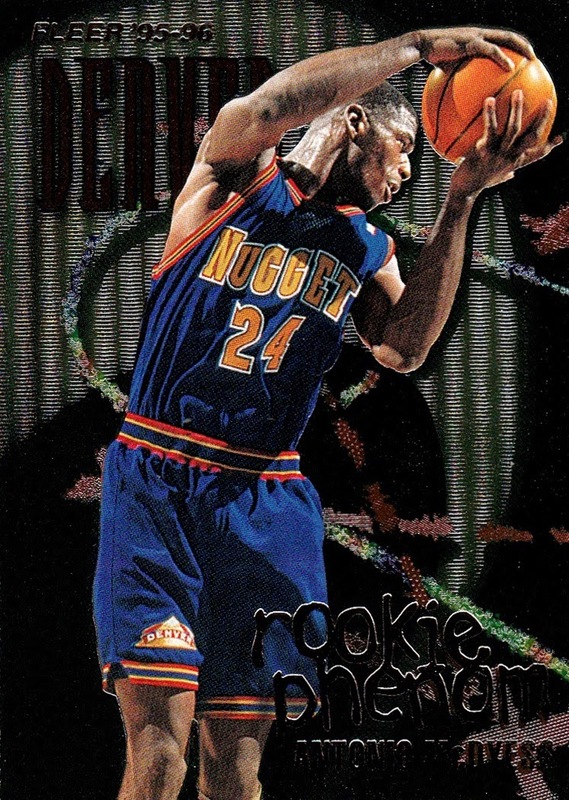 Rookie Phenoms is a 10 card insert set highlighting 10 of the top rookies from the 1995-96 season. 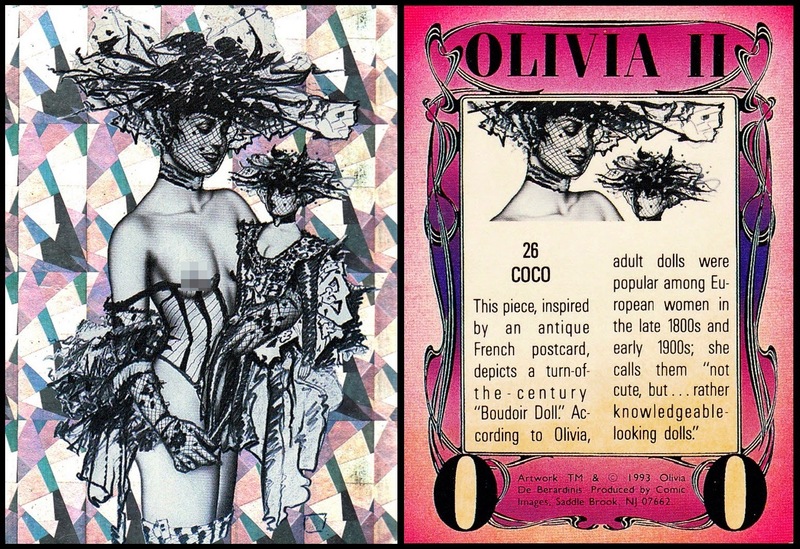 Each card is printed with etched technology. I have three of them. Rookie Phenom Hot Pack is a parallel of the Rookie Phenom set. 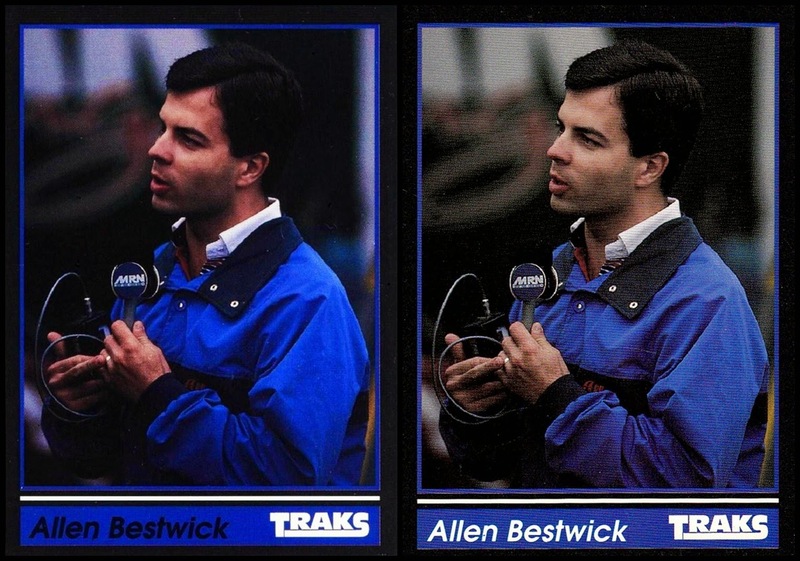 At the time, Fleer seeded several insert sets where if you got a Hot Pack, you got the entire insert set. But instead of just getting the regular insert set in complete form, they issued them with a red foil Hot Pack logo. I was lucky enough to get one of the Rookie Phenom Hot Packs in my box, so I have the complete 10 card set. 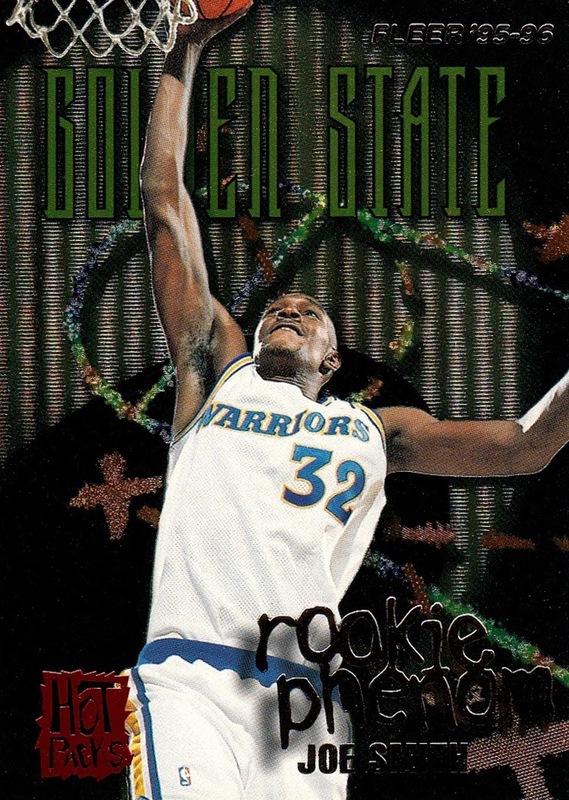 Rookie Sensations was a 15 card set highlighting the top rookies of the 1994-95 season. 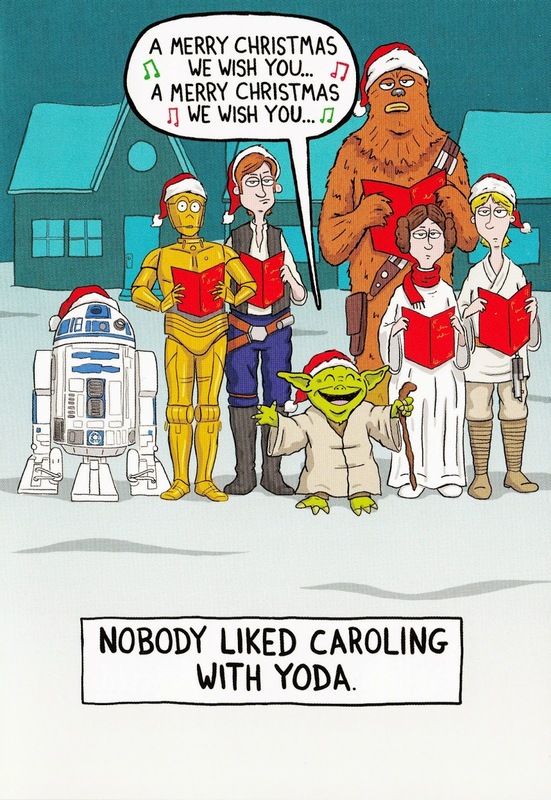 I have 14 of the 15 cards, or 93.3%. 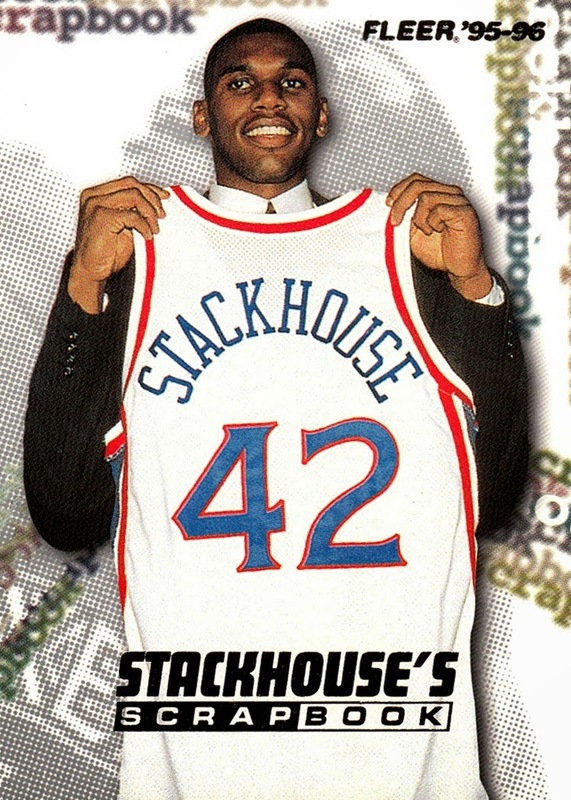 Stackhouse's Scrapbook was a mutli-release set issued across all Fleer brands in 1995-96 and the start of 1996-97. 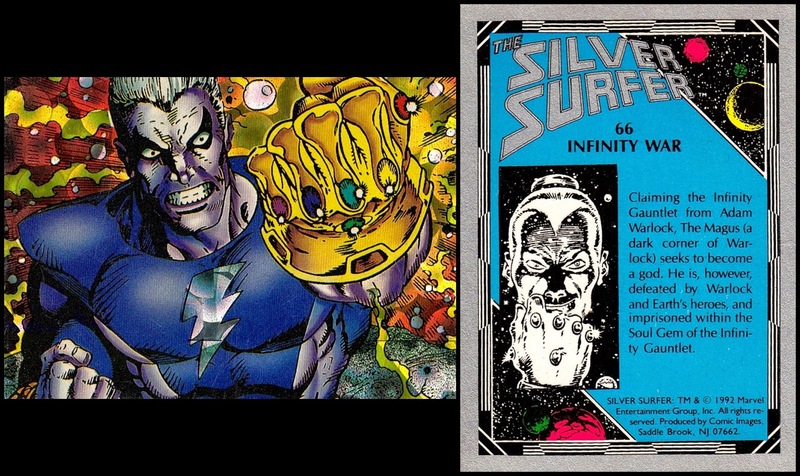 Note than only #S-1 and S-2 were issued in the Fleer set in 1995-96, the listing on the Database is incorrect in listing one of the Ultra and Metal issues in the checklist. 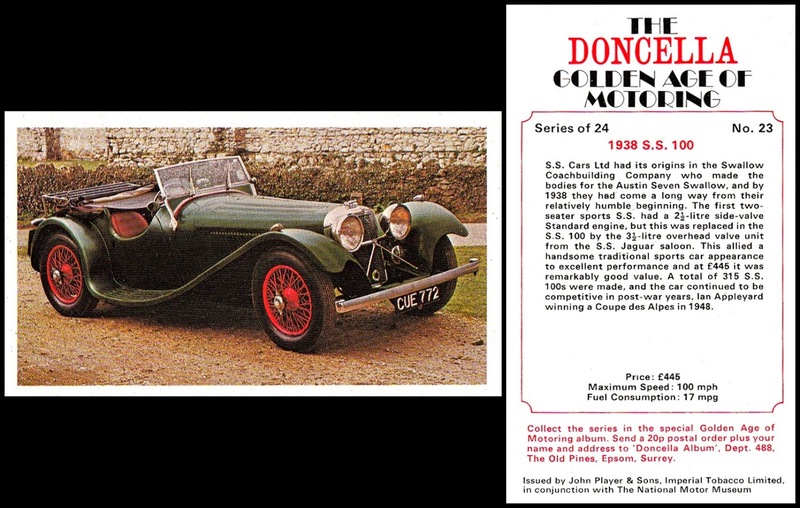 The numbering system carried over across brands and years. I have both the issues from 1995-96 Fleer. Total D was another horizontal set, this one highlighting players who excel at defense. I have 8 of the 12 cards. 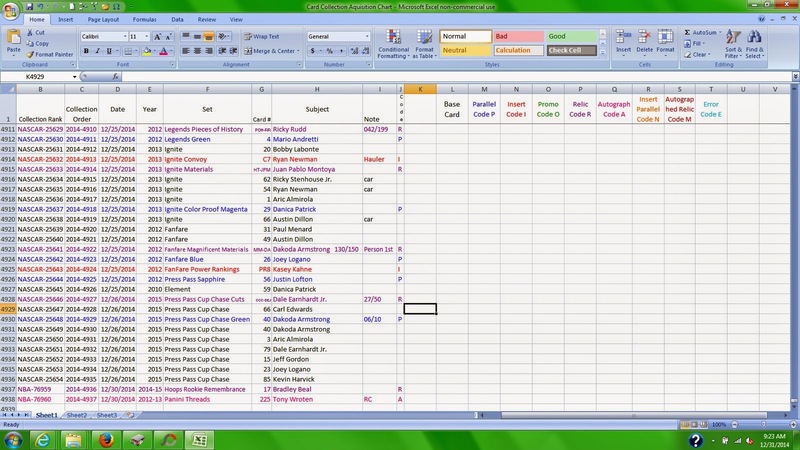 Total O highlights players who excel at offense. It was retail exclusive, and I only have 2 of the 10 cards, as my collection was built through the Hobby release. 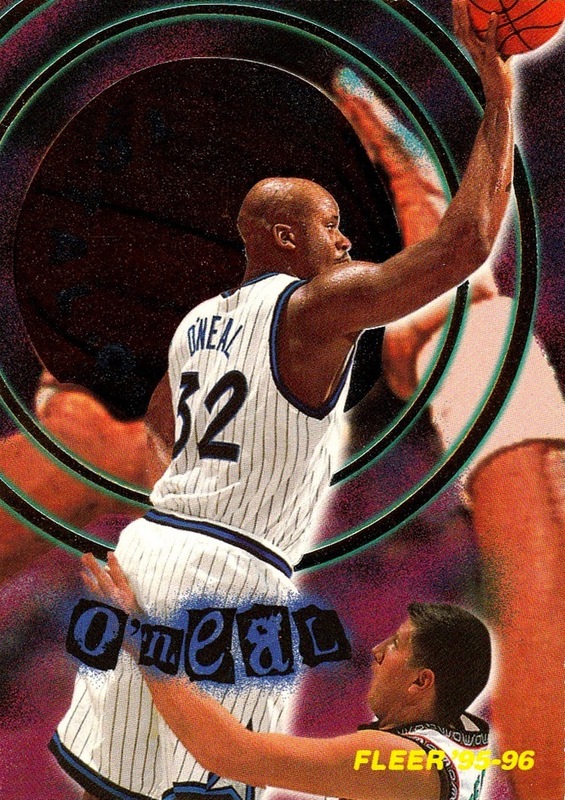 Total O Hot Pack is the only 1995-96 Fleer insert I do not have represented in my collection. It was retail exclusive and the Hot Packs were quite hard to pull in both retail and hobby. 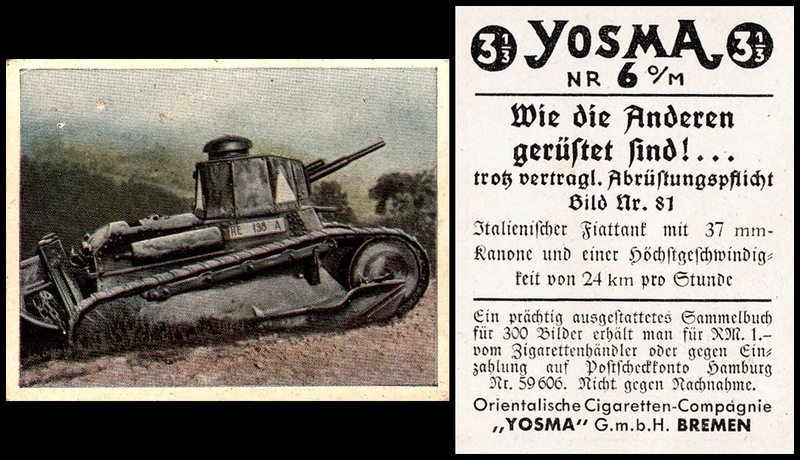 Since I do not have any in my collection, I cannot show a scan, but two of them have been posted to the Database. 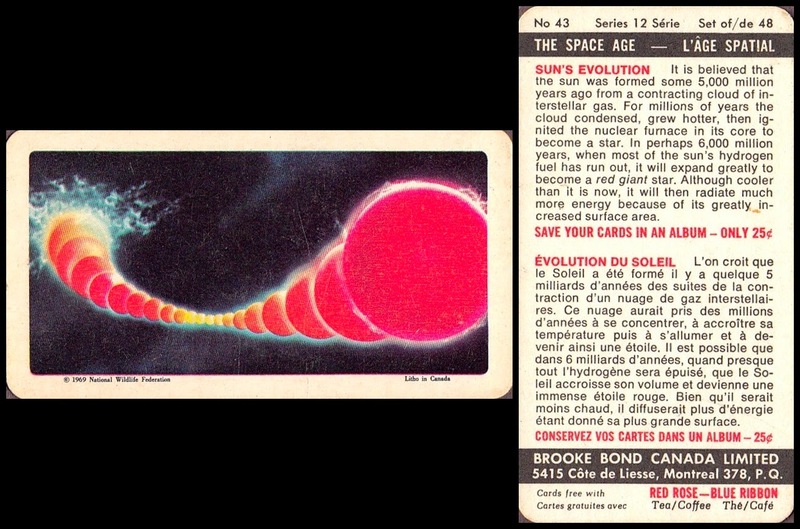 Towers of Power is another insert using etched technology, and is one of the rarer inserts from this set. 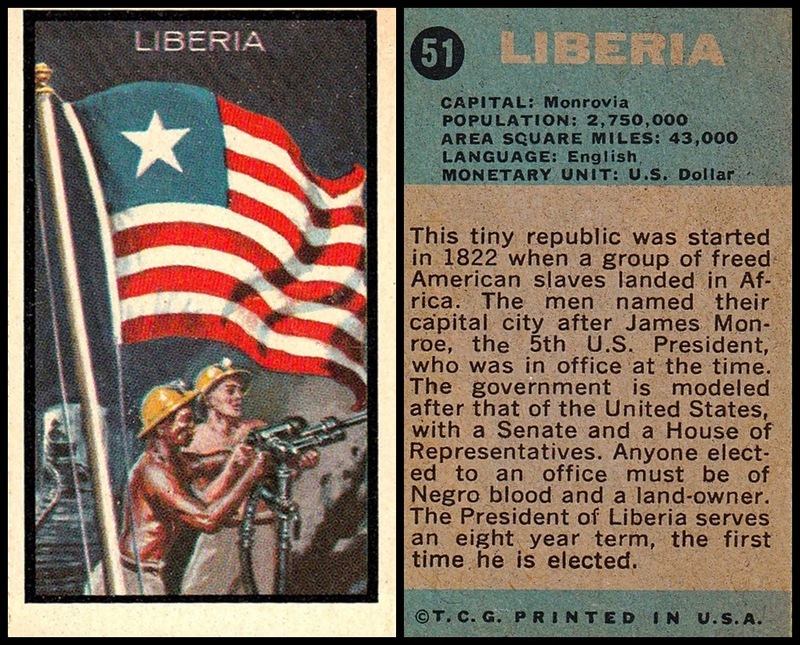 It highlights the Center position, and is a 10 card set. I have two of them. 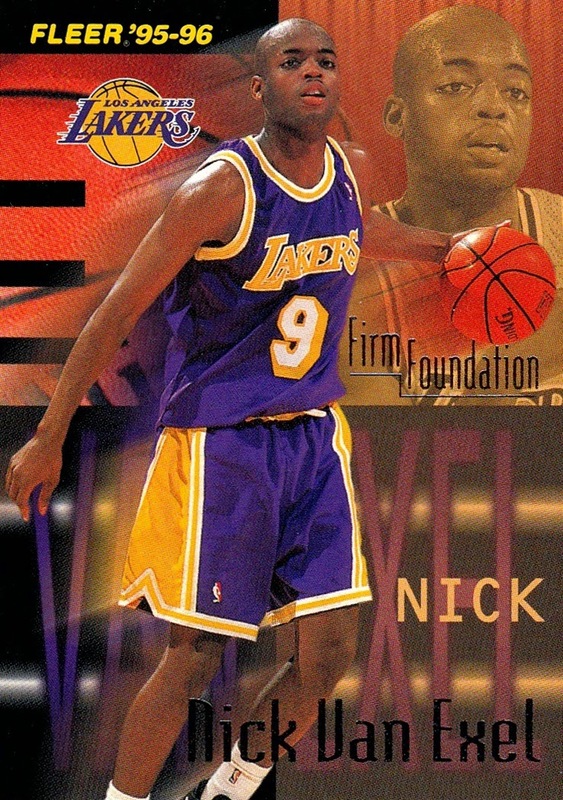 There is also a European release for 1995-96 Fleer. 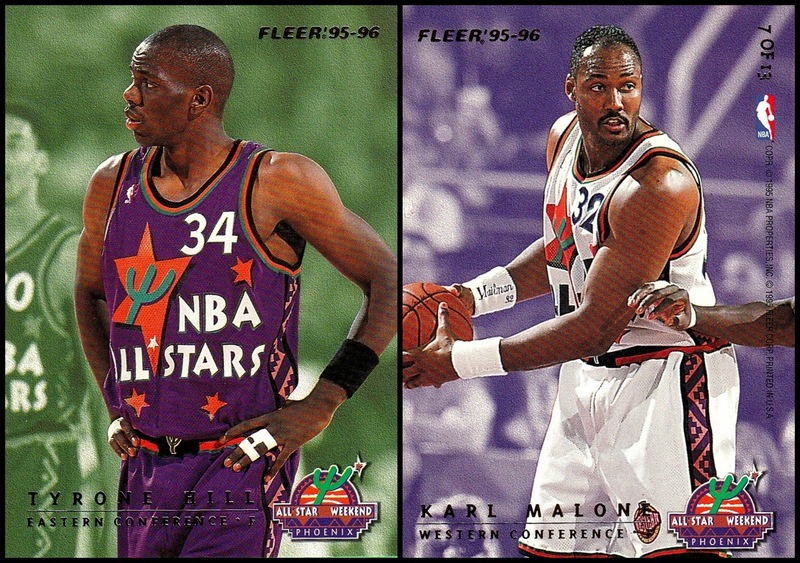 1995-96 Fleer European There is a major difference in the set, as instead of being a 350 card set, it's 499 cards. 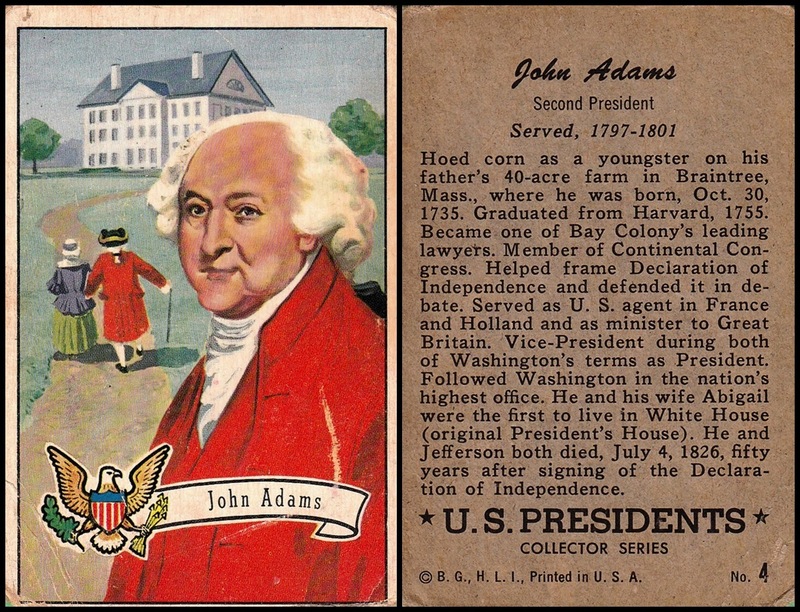 The first 197 are the same, but then, instead of going into checklists and series II, most of the inserts in the American set are numbered as part of the base set in the European release. 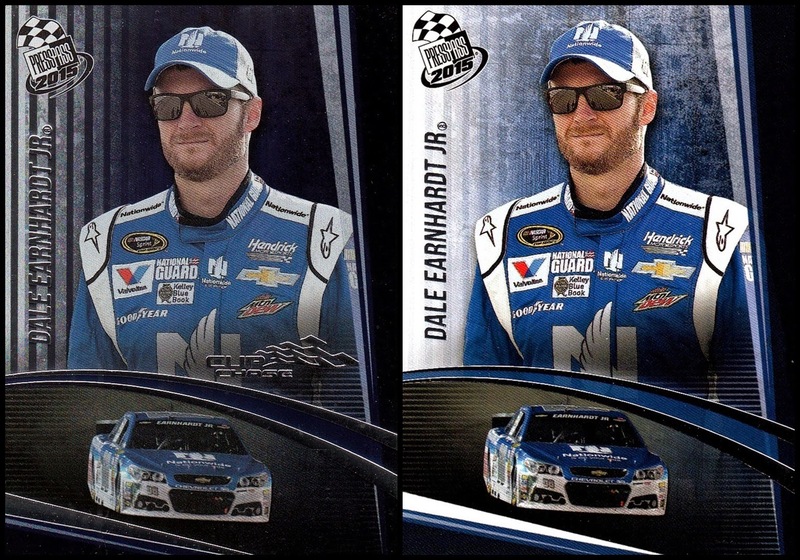 The European release also includes Team cards, which is a team logo over a floor pattern. 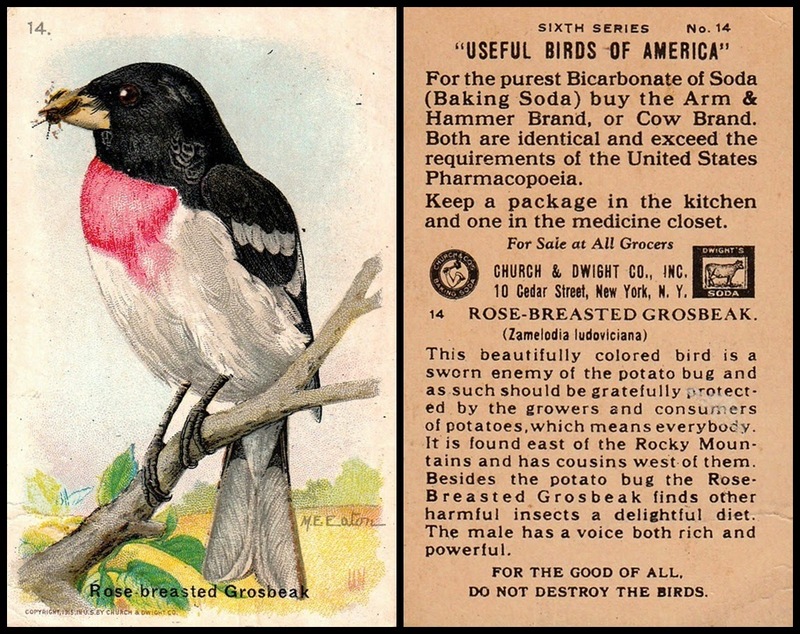 These have no American counterpart. Unlike most of the European sets issued in the 1990s, this set is almost entirely in English, whereas most were bilingual. 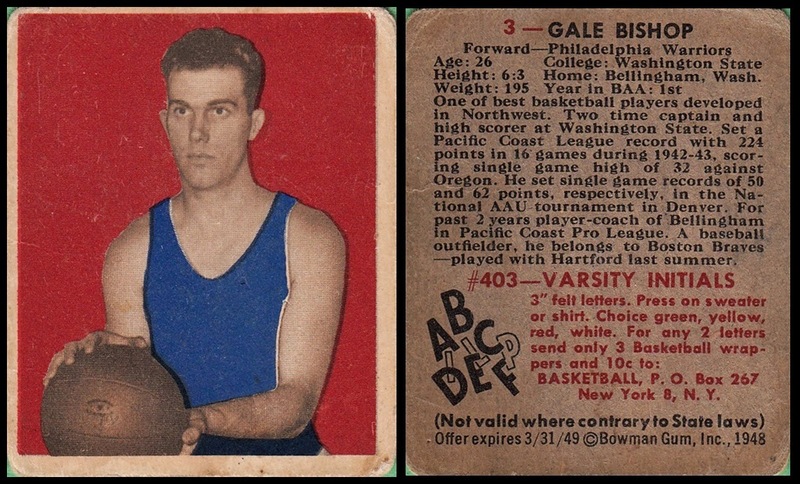 The team cards feature a glossary of basketball terms in multiple languages. 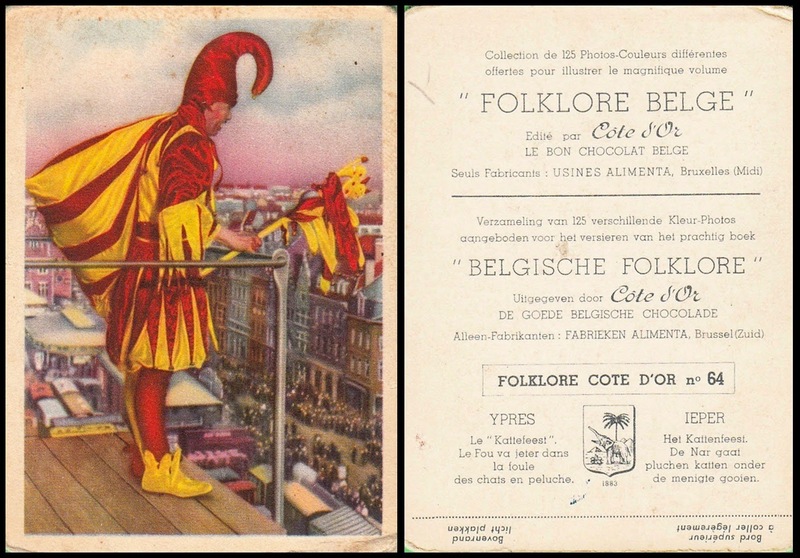 I do have some of these cards, but they have not been catalogued by me- yet.